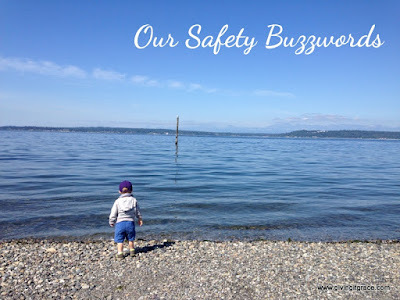 Today is Pinterest Day for the Babywise Friendly Blog Network and we're all sharing on the topic of safety. Follow us on Pinterest for more great tips, or check out the posts from the other ladies directly on their blogs. Using these four specific words has helped our toddler to understand exactly what we want from him. 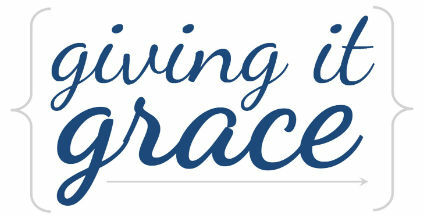 You reap in public what you sow at home, so there has been much practicing of these concepts at home. When our son was was around one, we started teaching him basic obedience. At that age, we simply wanted him to acknowledge when we said he his name by looking at us. We'd say his name and pause, he'd look at us, and then we'd continue speaking. This initial act of submission to mom's voice sets the stage for any further commands to be obeyed. Now that he's two - and we've had much practice of this concept - when out in public I can say his name and expect that he will look at me and wait to hear what I say next. When we're in a loud or crowded space, this is especially useful. I can say his name loudly to get his attention, and then when he looks at me I can mouth "come" and he will come to me. Or I can mouth "danger" and he will climb down off a tall chair. This practicing has made it possible for me to be confident taking him places knowing that he will likely obey my commands and that his obedience will keep him safe. I will fully admit that it doesn't always go swimmingly, despite all our practice. Toddlers are curious little beings, and that can cause them to forget the protocol or ignore it all together. We had an instance of just that this past weekend. While at my husband's parents house with his sister and her kids, my toddler let himself out the front door and took a short walk down the street before a neighbor (read: angel) returned him to us - before anyone even realized he was missing! Despite all my months of training him, there he was being handed into my husbands arms by a stranger who found him while out walking her dog. You can imagine my horror at the whole situation, and we are so thankful he is okay! Needless to say, he did not ask to go outside and so we have since added "ask" to our list of safety buzzwords and are currently practicing this one at home. Keeping a toddler safe can be exhausting, but we've found these safety buzzwords to be very useful - most of the time! What about you - any buzzwords or phrases that work really well for your little one?